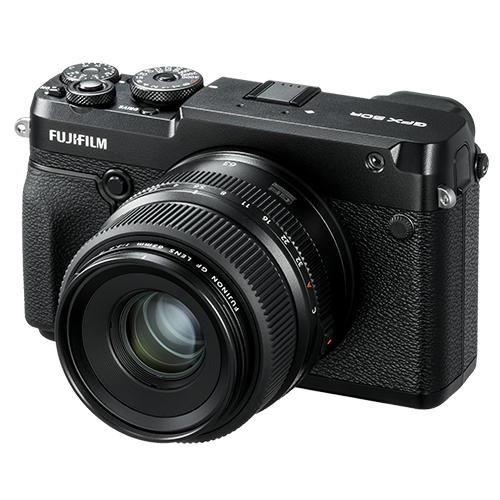 Features a large 51.4MP image sensor in compact and lightweight body reminiscent of renowned medium format film cameras. 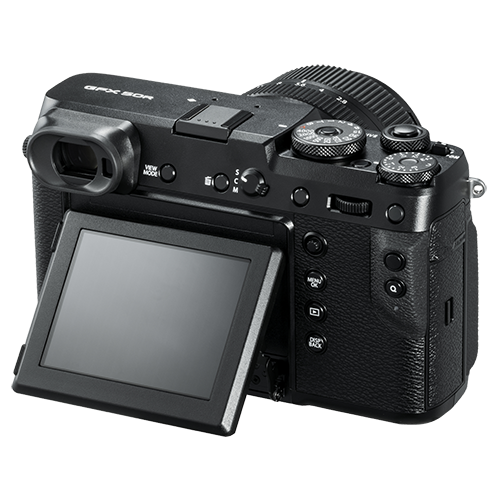 The GFX 50R is equipped with a 0.77x3.69M-dot organic “OLED”electronic viewfinder for accurate focusing and framing images. 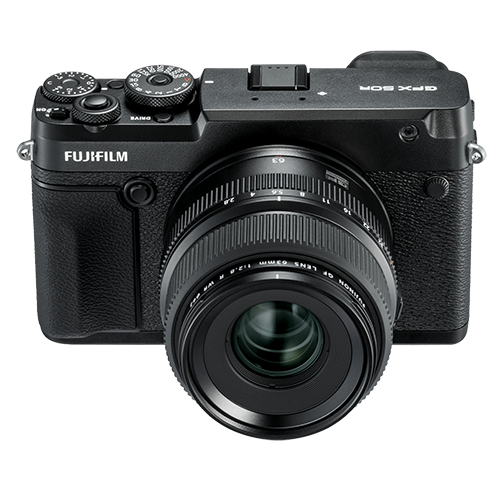 Weighing Approximately 145g less than the GFX 50S, this camera offers intuitive handling in a rugged, weather-sealed body to meet the varying needs of photographers. 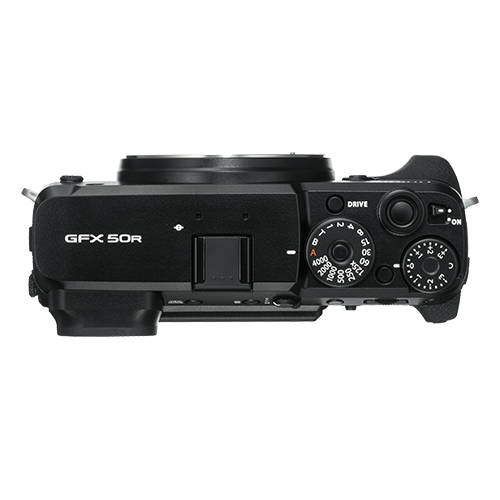 • G Format 43.8 x 32.9mm sensor with approximately 1.7x the area of a35mm sensor allows multiple aspect ratios (4:3, 3:2, 16:9, 1:1, 65:24, 5:4, 7:6) and delivers superior tones and sharpness. 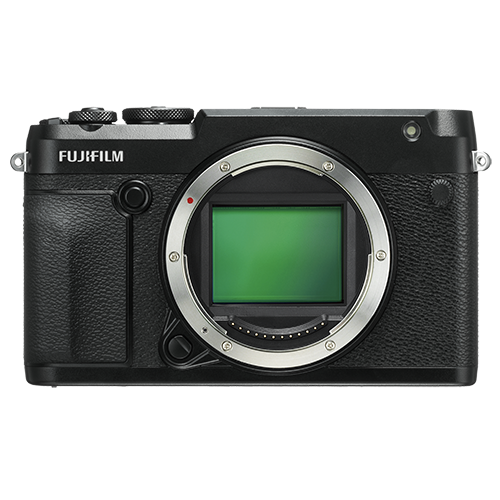 • TheThe High-performance Processor Pro processing engine optimize the camera's performance in a variety of areas including stunning color reproduction with Fujifilm's unique Film Simulation modes, in-camera RAW conversion to the 8-bit TIFF format and accurate contrast AF. •3.69M-dotEVF with 100% coverage. 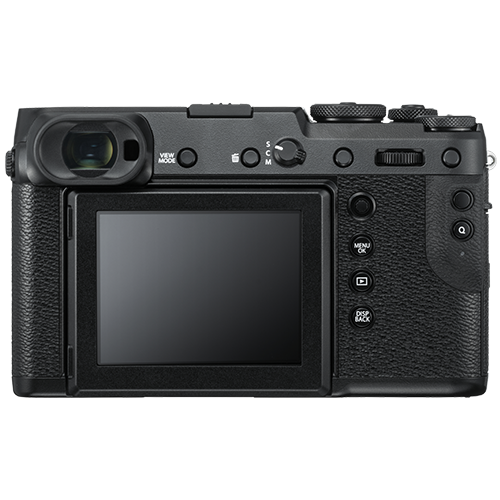 It uses dedicated rich lens elements to achieve extremely highdefinition finder live view and offers a locking diopter adjustmentrange of -4m-1 to＋2m-1. •Magnesium Alloy Camera body is dust- and water-resistant , as well as freezeproof to -10°C. •Full Capture One Pro FUJIFILM (optional) support. •3.2inch, 2.36M-dot Tilting Touch Screen LCD monitor offers 100% coverage. •Dual SD UHS-II memory card slots. •Built-in WiFi® and Bluetooth low energy V.4.2. •Newly-developed focal-plane shutter is a low-noise mechanical shutter that withstands 150,000 actuations*, offers shutter speeds up to 1/4000 second has an electronic first curtain. Electronic shutter offers up to 1/16000sec. •Flash Sync speed is up to 1/125sec.When using the optional EF-X500, which supports FP mode, flash sync can be as fast as 1/4000sec.